Last week, Compile Heart announced that Mary Skelter 2 would be releasing in Japan on June 28. Now, the studio has released a brand new trailer for the upcoming game. The nearly five-minute trailer introduces fans to the game’s battle system, as well as showing off some of the story from the upcoming title. 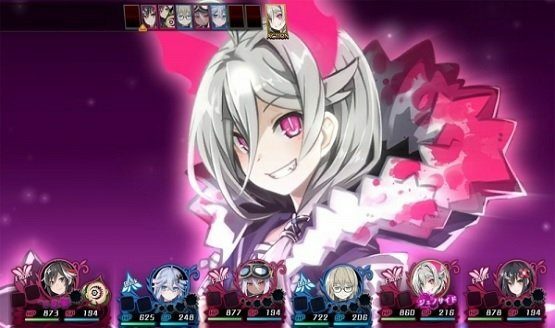 As a game, Mary Skelter is labeled a “puzzle solving x panic x active 3D dungeon RPG,” and its story and systems incorporate the concepts of “blood” and “madness.” In Mary Skelter 2, those properties are further reinforced. It will feature a previously untold story full of madness, as well as powered-up blood systems. Dungeon Map Size Adjustments – The sizes of dungeon maps have been slightly adjusted from the original game. Various Features Added to the Warehouse – Various features have been added to the warehouse, including: a sort function, the ability to use gift items as they are in the warehouse, and materials necessary for quests are counted in the warehouse. We’ll update our readers if/when a Western release is announced.